ترواده (Theravāda) کهن‌ترین شاخه باقی‌مانده بوداگرایی است. این کلمه از زبان سانسکریت گرفته شده و به معنای تعلیم بزرگان می‌باشد. این شعبه از بودیسم بسیار محافظه‌کار بوده و نسبت به باقی شاخه‌های سنتی، به بودیسم اولیه نزدیک‌تر است. برای چندین قرن، ترواده دین اصلی مردم سری‌لانکا (امروزه حدود ۷۰٪ جمعیت) و کشورهای کامبوج، لائوس، میانمار و تایلند بوده‌است. همچنین ترواده در جنوب غربی چین (میان گروه‌های قومی تائی و شان)، ویتنام (میان خمر کروم)، بنگلادش (میان گروه‌های قومی بروآس، چاکما، تاچانگیا) مالزی و اندونزی نیز رواج دارد. در ضمن، تعداد پیروان آن نیز در سنگاپور و کشورهای غربی در حال افزایش می‌باشد. امروزه جمعیت پیروان ترواده در سراسر جهان به ۱۵۰ میلیون نفر می‌رسد و طی دهه‌های اخیر در غرب و هند روبه افزایش گذارده‌است. 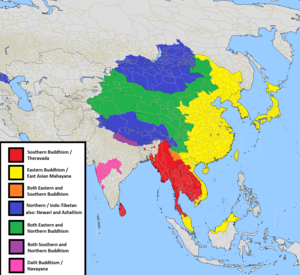 Map showing the three major Buddhist divisions in Tibet, Mongolia, Nepal, East and Southeast Asia. As a distinct school of early Buddhism, Theravāda Buddhism developed in Burma and subsequently spread to the rest of Southeast Asia. It is the dominant form of religion in Cambodia, Laos, Myanmar, Sri Lanka and Thailand and is practiced by minority groups in India, Bangladesh, China, Nepal and Vietnam. In addition, the diaspora of all of these groups as well as converts around the world practice Theravāda Buddhism. Contemporary expressions include Buddhist modernism, the Vipassana movement and the Thai Forest Tradition. The name Theravāda comes[a] from the ancestral Sthāvirīya, one of the early Buddhist schools, from which the Theravadins claim descent. The Sthavira nikāya arose during the first schism in the Buddhist sangha, due to their desire to tighten monastic discipline by adding new Vinaya rules, against the wishes of the majority Mahāsāṃghika group who disagreed with this. According to its own accounts, the Theravāda school is fundamentally derived from the Vibhajjavāda "doctrine of analysis" grouping, which was a division of the Sthāvirīya. According to Damien Keown, there is no historical evidence that the Theravāda school arose until around two centuries after the Great Schism which occurred at the Third Council. Theravadin accounts of its own origins mention that it received the teachings that were agreed upon during the putative Third Buddhist council under the patronage of the Indian Emperor Ashoka around 250 BCE. These teachings were known as the Vibhajjavāda. Emperor Ashoka is supposed to have assisted in purifying the sangha by expelling monks who failed to agree to the terms of Third Council. The elder monk Moggaliputta-Tissa was at the head of the Third council and compiled the Kathavatthu ("Points of Controversy"), a refutation of various opposing views which is an important work in the Theravada Abhidhamma. Later, the Vibhajjavādins, in turn, is said to have split into four groups: the Mahīśāsaka, Kāśyapīya, Dharmaguptaka in the north, and the Tāmraparṇīya in South India. The Tambapaṇṇiya (later Mahāvihāravāsins), was established in Sri Lanka (at Anuradhapura) but active also in Andhra and other parts of South India (Vanavasa in modern Karnataka) and later across South-East Asia. Inscriptional evidence of this school has been found in Amaravati and Nagarjunakonda. According to Buddhist scholar A. K. Warder, the Theravāda. spread rapidly south from Avanti into Maharashtra and Andhra and down to the Chola country (Kanchi), as well as Sri Lanka. For some time they maintained themselves in Avanti as well as in their new territories, but gradually they tended to regroup themselves in the south, the Great Vihara (Mahavihara) in Anuradhapura, the ancient capital of Sri Lanka, becoming the main centre of their tradition, Kanchi a secondary center and the northern regions apparently relinquished to other schools. The first records of Buddha images come from the reign of the King Vasabha (65–109 BCE), and after the 3rd century AD the historical record shows a growth of the worship of Buddha images as well as Bodhisattvas. In the 7th century, the Chinese pilgrim monks Xuanzang and Yijing refer to the Buddhist schools in Sri Lanka as Shàngzuòbù (Chinese: 上座部), corresponding to the Sanskrit Sthavira nikāya and Pali Thera Nikāya. Yijing writes, "In Sri Lanka, the Sthavira school alone flourishes; the Mahasanghikas is expelled". Between the reigns of Sena I (833–853) and Mahinda IV (956–972), the city of Anuradhapura saw a "colossal building effort" by various kings during a long period of peace and prosperity, the great part of the present architectural remains in this city date from this period. The Sri Lankan Buddhist Sangha initially preserved the Buddhist scriptures (the Tipitaka) orally as it had been traditionally done, however during the first century BCE, famine and wars led to the writing down of these scriptures. The Sri Lankan chronicle The Mahavamsa records: "Formerly clever monks preserved the text of the Canon and its commentaries orally, but then, when they saw the disastrous state of living beings, they came together and had it written down in books, that the doctrine might long survive." According to Richard Gombrich this is "the earliest record we have of Buddhist scriptures being committed to writing anywhere". The Theravada Pali texts which have survived (with only a few exceptions) are derived from the Mahavihara (monastic complex) of Anuradhapura, the ancient Sri Lankan capital. Later developments included the formation and recording of the Theravada commentary literature (Atthakatha). The Theravada tradition records that even during the early days of Mahinda, there was already a tradition of Indian commentaries on the scriptures. 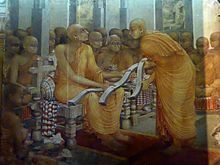 Prior to the writing of the classic Theravada Pali commentaries, there were also various commentaries on the Tipitaka written in the Sinhalese language, such as the Maha-atthakatha ("Great commentary"), the main commentary tradition of the Mahavihara monks. Of great importance to the commentary, tradition is the work of the great Theravada scholastic Buddhaghosa (4th–5th century CE), who is responsible for most of the Theravada commentarial literature that has survived (any older commentaries have been lost). Buddhaghosa wrote in Pali, and after him, most Sri Lankan Buddhist scholastics did as well. This allowed the Sri Lankan tradition to become more international through a lingua franca so as to converse with monks in India and later Southeast Asia. Theravada monks also produced other Pali literature such as historical chronicles (e.g. Mahavamsa), hagiographies, practice manuals, summaries, textbooks, poetry and Abhidhamma works such as the Abhidhammattha-sangaha and the Abhidhammavatara. Buddhaghosa's work on Abhidhamma and Buddhist practice outlined in works such as the Visuddhimagga and the Atthasalini are the most influential texts apart from the Pali Canon in the Theravada tradition. Other Theravada Pali commentators and writers include Dhammapala and Buddhadatta. Dhammapala wrote commentaries on the Pali Canon texts which Buddhaghosa had omitted and also wrote a commentary called the Paramathamanjusa on Buddhaghosa's Visuddhimagga. Over much of the early history of Buddhism in Sri Lanka, there were three subdivisions of Theravāda, consisting of the monks of the Mahāvihāra, Abhayagiri vihāra and Jetavana, each of which were based in Anuradhapura. The Mahāvihāra was the first tradition to be established, while Abhayagiri Vihāra and Jetavana Vihāra were established by monks who had broken away from the Mahāvihāra tradition. According to A. K. Warder, the Indian Mahīśāsaka sect also established itself in Sri Lanka alongside the Theravāda, into which they were later absorbed. Northern regions of Sri Lanka also seem to have been ceded to sects from India at certain times. When the Chinese monk Faxian visited the island in the early 5th century, he noted 5000 monks at Abhayagiri, 3000 at the Mahāvihāra, and 2000 at the Cetiyapabbatavihāra. 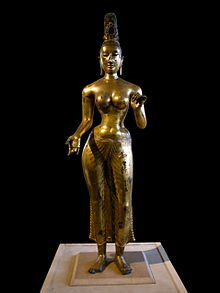 Gilded bronze solid cast statue of the Bodhisattva Tara, Sri Lanka, 8th century CE. This sculpture was found on the east coast of Sri Lanka between Batticaloa and Trincomalee and is evidence of the presence of Mahayana Buddhism in the Anuradhapura period of Sri Lanka. Over the centuries, the Abhayagiri Theravādins maintained close relations with Indian Buddhists and adopted many new teachings from India. including many elements from Mahāyāna teachings, while the Jetavana Theravādins adopted Mahāyāna to a lesser extent. Xuanzang wrote of two major divisions of Theravāda in Sri Lanka, referring to the Abhayagiri tradition as the "Mahāyāna Sthaviras", and the Mahāvihāra tradition as the "Hīnayāna Sthaviras". Xuanzang also wrote that the Mahāvihāravāsins reject the Mahāyāna as heretical, while the Abhayagirivihāravāsins study "both Hīnayāna and Mahāyāna". Abhayagiri was an influential university and center for the study of Mahayana from the reign of Gajabahu I until the 12th century. It saw various important Buddhist scholars working in Sanskrit and Pali. These include Upatissa (who wrote the Vimuttimagga), Kavicakravarti Ananda (authored the Saddhammopåyana), Aryadeva, Aryasura, and the tantric masters Jayabhadra, and Candramåli. Akira Hirakawa notes that the surviving Pāli commentaries (Aṭṭhakathā) of the Mahāvihāra school, when examined closely, also include a number of positions that agree with Mahāyāna teachings. Kalupahana notes the same for the Visuddhimagga, the most important Theravāda commentary. It is known that in the 8th century, both Mahāyāna and the esoteric Vajrayāna form of Buddhism were being practised in Sri Lanka, and two Indian monks responsible for propagating Esoteric Buddhism in China, Vajrabodhi and Amoghavajra, visited the island during this time. Abhayagiri Vihāra appears to have been a center for Theravadin Mahāyāna and Vajrayāna teachings. Parakramabahu I commissioned various religious projects such as Gal Vihara ('The Stone Shrine') in Polonnaruwa features three statues of the Buddha in three different poses carved from the same large rock. Though the chronicle says that he reunited the Sangha, this expression glosses over the fact that what he did was to abolish the Abhayagiri and Jetavana Nikāyas. He laicized many monks from the Mahā Vihāra Nikāya, all the monks in the other two – and then allowed the better ones among the latter to become novices in the now 'unified' Sangha, into which they would have in due course to be reordained. It seems that part of the reason for these radical moves was that Parakramabahu I saw the Sangha as being divided, corrupt and in need of reform, especially the Abhayagiri. The Cūḷavaṁsa laments that at this time Theravada monks had "turned away in their demeanor from one another and took delight in all kinds of strife". This chronicle also claims that many monks in the Sri Lankan Sangha had even begun to marry and have children, behaving more like lay followers than monastics. Parākramabāhu's chief monastic leader in these reforms was Mahathera Kassapa, an experienced monk well versed in the Scriptures and the Monastic discipline. Parakramabahu I is also known for rebuilding the ancient cities of Anuradhapura and Polonnaruwa, restoring Buddhist stupas and Viharas (monasteries). He appointed a Sangharaja, or "King of the Sangha", a monk who would preside over the Sangha and its ordinations in Sri Lanka, assisted by two deputies. The reign of Parakkamabāhu also saw a flowering of Theravada scholasticism with the work of prominent Sri Lankan scholars such as Anuruddha, Sāriputta Thera, Mahākassapa Thera of Dimbulagala Vihara and Moggallana Thera. They worked on compiling of subcommentaries on the Tipitaka, texts on grammar, summaries and textbooks on Abhidhamma and Vinaya such as the influential Abhidhammattha-sangaha of Anuruddha. According to the Mahavamsa, a Sri Lankan chronicle, after the conclusion of the Third Buddhist council, a mission was sent to Suvarnabhumi, led by two monks, Sona and Uttara. Scholarly opinions differ as to where exactly this land of Suvarnabhumi was located, but it is generally believed to have been located somewhere in the area of Lower Burma, Thailand, the Malay Peninsula, or Sumatra. Before the 12th century, the areas of Thailand, Myanmar, Laos, and Cambodia were dominated by Buddhist sects from India, and included the teachings of Mahāyāna Buddhism. In the 7th century, Yijing noted in his travels that in these areas, all major sects of Indian Buddhism flourished. Though there are some early accounts that have been interpreted as Theravāda in Myanmar, the surviving records show that most Burmese Buddhism incorporated Mahāyāna, and used Sanskrit rather than Pali. After the decline of Buddhism in India, missions of monks from Sri Lanka gradually converted Burmese Buddhism to Theravāda, and in the next two centuries also brought Theravāda Buddhism to the areas of Thailand, Laos, and Cambodia, where it supplanted previous forms of Buddhism. The Mon and Pyu were among the earliest people to inhabit Myanmar. The oldest surviving Buddhist texts in the Pali language come from Pyu city-state of Sri Ksetra, the text which is dated from the mid 5th to mid 6th century is written on twenty-leaf manuscript of solid gold. Peter Skilling concludes that there is firm evidence for the dominant presence of Theravada in "the Irrawaddy and Chao Phraya basins, from about the 5th century CE onwards", though he adds that evidence shows that Mahayana was also present. The Burmese slowly became Theravādin as they came into contact and conquered the Pyu and Mon civilizations. This began in the 11th century during the reign of the Bamar king Anawrahta (1044–1077) of the Pagan Kingdom who acquired the Pali scriptures in a war against the Mon as well as from Sri Lanka and build stupas and monasteries at his capital of Bagan. Various invasions of Burma by neighboring states and the Mongol invasions of Burma (13th century) damaged the Burmese sangha and Theravada had to be reintroduced several times into the country from Sri Lanka and Thailand. Stairway to Wat Phnom guarded by Nagas, the oldest Buddhist structure at the Cambodian capital of Phnom Penh. The Khmer Empire (802–1431) centered in Cambodia was initially dominated by Hinduism; Hindu ceremonies and rituals were performed by Brahmins, usually only held among ruling elites of the king's family, nobles, and the ruling class. Tantric Mahayana Buddhism was also a prominent faith, promoted by Buddhist emperors such as Jayavarman VII (1181–1215) who rejected the Hindu gods and presented himself as a Bodhisattva King. During his reign, King Jayavarman VII (c. 1181–1218) sent his son Tamalinda to Sri Lanka to be ordained as a Buddhist monk and study Theravada Buddhism according to the Pali scriptural traditions in the Mahavihara monastery. Tamalinda then returned to Cambodia and promoted Buddhist traditions according to the Theravada training he had received, galvanizing and energizing the long-standing Theravada presence that had existed throughout the Angkor empire for centuries. During the 13th and 14th centuries, Theravada monks from Sri Lanka continued introducing orthodox Theravada Buddhism which eventually became the dominant faith among all classes. The monasteries replaced the local priestly classes, becoming centers of religion, education, culture and social service for Cambodian villages. This change in Cambodian Buddhism led to high levels of literacy among Cambodians. In Thailand, Theravada existed alongside Mahayana and other religious sects before the rise of Sukhothai Kingdom. During the reign of King Ram Khamhaeng (c. 1237/1247 – 1298) Theravada was made the main state religion and promoted by the king as the orthodox form of Thai Buddhism. Despite its success in Southeast Asia, Theravāda Buddhism in China has generally been limited to areas bordering Theravāda countries. During the pre-modern era, Southeast Asian Buddhism included numerous elements which could be called tantric and esoteric (such as the use of mantras and yantras in elaborate rituals). The French scholar François Bizot has called this "Tantric Theravada", and his textual studies show that it was a major tradition in Cambodia and Thailand. Some of these practices are still prevalent in Cambodia and Laos today. Later Theravada textual materials show new and somewhat unorthodox developments in theory and practice. These developments include what has been called the "Yogāvacara tradition" associated with the Sinhalese Yogāvacara's manual (c. 16th to 17th centuries) and also Esoteric Theravada also known as Borān kammaṭṭhāna ('ancient practices'). These traditions include new practices and ideas which are not included in classical orthodox Theravada works like the Visuddhimagga, such as the use of mantras (such as Araham), the practice of magical formulas, complex rituals and complex visualization exercises. These practices were particularly prominent in the Siam Nikaya before the modernist reforms of King Rama IV (1851–1868) as well as in Sri Lanka. Henry Olcott and Buddhists (Colombo, 1883). In the 19th century began a process of mutual influence of both Asian Buddhists and Hinduists, and a Western audience interested in ancient wisdom. Theravada was also influenced by this process, which lead to Buddhist modernism; especially Helena Blavatsky and Henry Steel Olcott, founders of the Theosophical Society, had a profound role in this process in Sri Lanka. Simultaneously, vipassana-meditation was re-invented, and in Theravāda countries a lay vipassana practice developed. This took a high flight in East Asia from the 1950s onwards with the vipassana-movement, and from the 1970s also in the west, with western students who popularized vipassana-meditation in the west, giving way to the development and popularisation of mindfulness-practice. Buddhist revivalism has also reacted against changes in Buddhism caused by colonialist regimes. Western colonialists and Christian missionaries deliberately imposed a particular type of Christian monasticism on Buddhist clergy in Sri Lanka and colonies in Southeast Asia, restricting monks' activities to individual purification and temple ministries. Prior to British colonial control, monks in both Sri Lanka and Burma had been responsible for the education of the children of lay people, and had produced large bodies of literature. After the British takeover, Buddhist temples were strictly administered and were only permitted to use their funds on strictly religious activities. Christian ministers were given control of the education system and their pay became state funding for missions. Foreign, especially British, rule had an enervating effect on the Sangha. According to Walpola Rahula, Christian missionaries displaced and appropriated the educational, social, and welfare activities of the monks, and inculcated a permanent shift in views regarding the proper position of monks in society through their institutional influence upon the elite. Many monks in post-colonial times have dedicated themselves to undoing these changes. Movements intending to restore Buddhism's place in society have developed in both Sri Lanka and Myanmar. One consequence of the reaction against Western colonialism has been a modernization of Theravāda Buddhism: Western elements have been incorporated, and meditation practice has opened to a lay audience. Modernized forms of Theravādan practice have spread to the West. The Temple of the Tooth was renovated during the Buddhist revival. In Sri Lanka Theravadins were looking at Western culture to find means to revitalize their own tradition. Christian missionaries were threatening the indigenous culture. As a reaction to this, Theravadins became active in spreading Buddhism and debating Christians. They were aided by the Theosophical Society, who were dedicated to the search for wisdom within ancient sources. Anagarika Dharmapala was one of the Theravāda leaders with whom the Theosophists sided. Dharmapala reached out to the middle classes, offering them religious practice and a religious identity, which were used to withstand the British imperialists. As a result of Dharmapala's efforts, lay practitioners started to practise meditation and study Buddhism, which had been reserved specifically for the monks. The translation and publication of the Pāli Canon by the Pali Text Society made the Pali Canon better available to a lay audience, not only in the West, but also in the East. Western lay interest in Theravāda Buddhism was promoted by the Theosophical Society, and endured until the beginning of the 20th century. During the 1970s interest rose again, leading to a surge of Westerners searching for enlightenment, and the republishing of the Pāli Canon, first in print, and later on the internet. Convening of the Sixth Buddhist council at the Great Cave. An influential modernist figure in Myanmar Buddhism was king Mindon Min (1808–1878). He promoted the Fifth Buddhist council (1871) and inscribed the Pali canon into marble slabs, creating the world's largest book in 1868. During his reign, various reformist sects came into being such as the Dwaya and the Shwegyin, who advocated a stricter monastic conduct than the mainstream Thudhamma tradition. During colonial Burma, there were constant tensions between Christian missionaries and Buddhist monks (which included one of the first Western convert monks, U Dhammaloka). After independence, Myanmar was also the place for the Sixth Buddhist council (Vesak 1954 to Vesak 1956) which was attended by monks from eight Theravada nations to recite the Pali Canon. The Council synthesized a new redaction of the Pali texts ultimately transcribed into several native scripts. In Myanmar, this Chaṭṭha Saṅgīti Piṭaka (Sixth council Pitaka) was published by the government in 40 volumes. Modern vipassanā meditation practice was re-invented in Myanmar in the 19th century. The "New Burmese method" was developed by U Nārada and popularized by his student Mahasi Sayadaw and Nyanaponika Thera. Another prominent teacher is Bhikkhu Bodhi, a student of Nyanaponika. The New Burmese Method strongly emphasizes vipassanā over samatha. It is regarded by traditionalists as a simplification of traditional Buddhist meditation techniques, suitable not only for monks but also for lay practitioners. The method has been popularized in the West by teachers of the vipassana movement such as Joseph Goldstein, Jack Kornfield, Tara Brach, Gil Fronsdal and Sharon Salzberg. The Ledi lineage begins with Ledi Sayadaw. S. N. Goenka is a well-known teacher in the Ledi-lineage. According to S. N. Goenka, vipassana techniques are essentially nonsectarian in character, and have universal application. Meditation centers teaching the vipassanā popularized by S. N. Goenka exist now in India, Asia, North and South America, Europe, Australia, Middle East and Africa. From 1824–1851 Prince Mongkut spent his life as a monk. With the coming to power in 1851 of King Mongkut, who had been a monk himself for twenty-seven years, the sangha, like the kingdom, became steadily more centralized and hierarchical, and its links to the state more institutionalized. Mongkut was a distinguished scholar of Pali Buddhist scripture. Moreover, at that time the immigration of numbers of monks from Burma was introducing the more rigorous discipline characteristic of the Mon sangha. Influenced by the Mon and guided by his own understanding of the Tipitaka, Mongkut began a reform movement that later became the basis for the Dhammayuttika Nikaya. Mongkut advocated a stricter adherence to the Vinaya (monastic discipline). He also emphasized study of the scriptures, and rationalism. His son King Chulalongkorn created a national structure for Buddhist monastics and established a nationwide system of monastic education. In the early 1900s, Thailand's Ajahn Sao Kantasīlo and his student, Mun Bhuridatta, led the Thai Forest Tradition revival movement. In the 20th century notable practitioners included Ajahn Thate, Ajahn Maha Bua and Ajahn Chah. It was later spread globally by Ajahn Mun's students including Ajahn Thate, Ajahn Maha Bua and Ajahn Chah and several Western disciples, among whom the most senior is Luang Por Ajahn Sumedho. Modern Buddhism in Cambodia was strongly influenced by Thai Buddhism. The Dhammayuttika Nikaya was introduced into the country during the reign of King Norodom (1834–1904) and benefited from royal patronage. The rule of the Khmer Rouge effectively destroyed Cambodia's Buddhist institutions by disrobing and killing monks and destroying temples. After the end of the regime the Sangha was re-established. An important figure of modern Cambodian Theravada is Maha Ghosananda who promoted a form of engaged Buddhism to effect social change. Reformism: attempts to restore a supposed earlier, ideal state of Buddhism; includes in particular the adoption of Western scholars' theories of original Buddhism (in recent times the "Western scholarly interpretation of Buddhism" is the official Buddhism prevailing in Sri Lanka and Thailand). Social and political action, including engaged Buddhism, protesting and participating in election politics. Revival of meditation practice (by monks and laypersons), emphasizing meditation centers and retreats. Ledi Sayadaw (1846–1923) is particular important in this regard. Revival of the Theravāda bhikkhuni (female monastic) lineage (not recognized by some male sangha authorities). Convert Buddhism in Western countries, establishment of Western monastic orders (especially the Thai forest tradition) and development of Pali scholarship in Western languages. One of the 729 large marble tablets of the Pali Canon (the world's largest book) inscribed using the Burmese alphabet at the Kuthodaw Pagoda in Mandalay, Myanmar. According to Kate Crosby, for Theravada, the Pali Canon is "the highest authority on what constitutes the Dhamma (the truth or teaching of the Buddha) and the organization of the Sangha (the community of monks and nuns)." The Sutta and Vinaya portion of the Tipitaka shows considerable overlap in content to the Agamas, the parallel collections used by non-Theravāda schools in India which are preserved in Chinese and partially in Sanskrit, Prakrit, and Tibetan, and the various non-Theravāda Vinayas. On this basis, both these sets of texts are generally believed to be the oldest and most authoritative texts on pre-sectarian Buddhism by scholars. It is also believed that much of the Pali Canon, which is still used by Theravāda communities, was transmitted to Sri Lanka during the reign of Ashoka. After being orally transmitted (as was the custom in those days for religious texts) for some centuries, were finally committed to writing in the last century BCE, at what the Theravāda usually reckons as the fourth council, in Sri Lanka. Theravāda is one of the first Buddhist schools to commit the whole complete set of its Buddhist canon into writing. The Theravādans, then, may have added texts to the Canon for some time, but they do not appear to have tampered with what they already had from an earlier period. The Pali Tipitaka consists of three parts: the Vinaya Pitaka, Sutta Pitaka and Abhidhamma Pitaka. Of these, the Abhidhamma Pitaka is believed to be a later addition to the first two pitakas, which, in the opinion of many scholars, were the only two pitakas at the time of the First Buddhist Council. The Pali Abhidhamma was not recognized outside the Theravāda school. The Tipitaka is composed of 45 volumes in the Thai edition, 40 in the Burmese and 58 in the Sinhalese, and a full set of the Tipitaka is usually kept in its own (medium-sized) cupboard. Since much Sutta material overlaps with that found in the Sūtra collections of other Buddhist traditions, it is the Vinaya (monastic discipline) and Abhidhamma that are the most distinctive formal aspects of Theravada Buddhism, unique to Theravada. The Vibhajjavāda school (‘the analysts’), the branch of the Sthāvira school from which Theravāda is derived, differed from other early Buddhist schools on a variety of teachings. The differences resulted from the systematization of the Buddhist teachings, which was preserved in the Abhidharmas of the various schools. The unique doctrinal positions of the Theravāda school are expounded in what is known as the Abhidhamma-piṭaka, as well as in the later Pali commentaries (Aṭṭha-kathā) and sub-commentaries (ṭīkā). Because of the size of this canonical and commentarial literature the Pali tradition developed a tradition of handbooks and doctrinal summaries, the most influential of which are the Visuddhimagga and the Abhidhammaṭṭhasaṅgaha. The Pali Abhidhamma is "a restatement of the doctrine of the Buddha in strictly formalized language ... assumed to constitute a consistent system of philosophy". Its aim is not the empirical verification of the Buddhist teachings, but "to set forth the correct interpretation of the Buddha's statements in the Sutra to restate his 'system' with perfect accuracy". Because Abhidhamma focuses on analyzing the internal lived experience of beings and the intentional structure of consciousness, the system has often been compared to a kind of phenomenological psychology by numerous scholars such as Nyanaponika, Bhikkhu Bodhi and Alexander Piatigorsky. 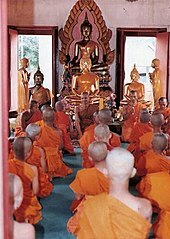 The Theravāda school has traditionally held the doctrinal position that the canonical Abhidhamma Pitaka was actually taught by the Buddha himself. Modern scholarship in contrast, has generally held that the Abhidhamma texts date from the 3rd century BCE. However some scholars, such as Frauwallner, also hold that the early Abhidhamma texts developed out of exegetical and catechetical work which made use of doctrinal lists which can be seen in the suttas, called matikas. In the 4th or 5th century Buddhaghosa Thera, wrote the first Pali commentaries to much of the Tipitaka (which were based on much older manuscripts, mostly in old Sinhalese), including commentaries on the Nikayas and his commentary on the Vinaya, the Samantapāsādikā. Buddhaghosa wrote as part of the Mahavihara tradition in Sri Lanka, a tradition which came to dominate the island and all of Theravāda after the 12th century. After him many other monks wrote various texts which have become part of the Theravāda heritage. These texts do not have the same authority as the Tipitaka does, though Buddhaghosas Visuddhimagga is a cornerstone of the commentarial tradition. Another important genre of Theravāda literature are shorter handbooks and summaries which serve as introductions and study guides for the larger commentarial works. Two of the more influential summaries are Sariputta Thera's Pālimuttakavinayavinicchayasaṅgaha, a summary of Buddhaghosa's Vinaya commentary and Anuruddha's Abhidhammaṭṭhasaṅgaha (Manual of Abhidhamma). For many Theravāda Buddhists, the Pali texts and language are symbolically and ritually important, however most people are likely to access Buddhist teachings though vernacular literature, oral teachings, sermons, art and performance as well as films and internet media. According to Kate Crosby, "there is a far greater volume of Theravada literature in vernacular languages than in Pali." An important genre of Theravāda literature, in both Pali and vernacular languages are the Jataka tales, stories of the Buddha's past lives. They are very popular among all classes and are rendered in a wide variety of media formats, from cartoons to high literature. The Vessantara Jātaka is one of the most popular of these. Theravāda Buddhists consider much of what is found in the Chinese and Tibetan Mahāyāna scriptural collections to be apocryphal, meaning that they are not authentic words of the Buddha. In the Pali Nikayas, the Buddha teaches through a method in which experience is explained using various conceptual groupings of physical and mental processes, which are called dhammas. Examples of lists of dhammas taught by the Buddha include the twelve sense 'spheres' or ayatanas, the five aggregates or khanda and the eighteen elements of cognition or dhatus. Expanding this model, the Pali Abhidhamma concerned itself with analyzing "ultimate truth" (paramattha-sacca) which it sees as being composed of all possible dhammas and their relationships. The central theory of the Pali Abhidhamma is thus known as the "Dhamma theory". Dhammas bear their own particular natures (sabhāva). Alternatively, dhammas are borne by conditions, or according to particular natures. According to Y. Karunadasa, a dhamma, which can be translated as "a 'principle' or 'element' (dharma)", is "those items that result when the process of analysis is taken to its ultimate limits". However, this does not mean that they have an independent existence, for it is "only for the purposes of description" that they are postulated. Noa Ronkin defines dhammas as "the constituents of sentient experience; the irreducible ‘building blocks’ that make up one's world, albeit they are not static mental contents and certainly not substances." Noa Ronkin also argues that there was gradual shift from the early canonical texts which tended to explain experience in terms of changing processes, to the Abhidhamma tradition which analyzed these processes into distinct mental events. the concept of sabhava attests to the Theravadins’ interest in unveiling the nature of conscious experience: this, they presumed, could be carried out by enumerating the possible types of those events constituting one’s experience and by individuating them. To individuate the dhammas the Abhidhammikas had to provide a method for determining what any given dhammic instance of every possible event-type is and what makes it so, and for this purpose they used the concept of sabhava. Thus, while in Theravāda Abhidhamma, dhammas are the ultimate constituents of experience, they are not seen as substances, essences or independent particulars, since they are empty (suñña) of a self (attā) and conditioned. This is spelled out in the Patisambhidhamagga, which states that dhammas are empty of svabhava (sabhavena suññam). According to Ronkin, the canonical Pali Abhidhamma remains pragmatic and psychological, and "does not take much interest in ontology" in contrast with the Sarvastivada tradition. Paul Williams also notes that the Abhidhamma remains focused on the practicalities of insight meditation and leaves ontology "relatively unexplored". Ronkin does note however that later Theravāda sub-commentaries (ṭīkā) do show a doctrinal shift towards ontological realism from the earlier epistemic and practical concerns. The Theravāda Abhidhamma holds that there is a total of 82 possible types of dhammas, 81 of these are conditioned (sankhata), while one is unconditioned, which is nibbana. The 81 conditioned dhammas are divided into three broad categories, consciousness (citta), associated mentality (cetasika) and materiality, or physical phenomena (rupa). Since no dhamma exists independently, every single dhamma of consciousness, known as a citta, arises associated (sampayutta) with at least seven mental factors (cetasikas). In Abhidhamma, all awareness events are thus seen as being characterized by intentionality and never exist in isolation. Universal mental factors (sabbacittasādhāraṇa cetasikas), which are basic and rudimentary cognitive functions. Occasional or particular mental factors (pakiṇṇaka cetasikas). Unwholesome mental factors (akusala cetasikas), accompanied by one or another of the three unwholesome roots – greed, hatred, and delusion. Beautiful mental factors (sobhana cetasikas), accompanied by the wholesome roots – non-greed or generosity, non-hatred or loving-kindness, and non-delusion or wisdom. two levels of reality, namely that which is amenable to analysis and that which defies further analysis. The first level is called sammuti because it represents conventional or relative truth or what is called consensual reality, and the second is called paramattha because it represents the absolute truth or ultimate reality. the distinction between sammuti-sacca and paramattha-sacca does not refer to two kinds of truth as such, but to two ways of presenting what is true. Although they are formally introduced as two truths, they are explained as two modes of expressing what is true. They do not represent two degrees of truth, of which one is superior or inferior to the other. Nor do they represent two parallel truths. Because of this, in Pali Abhidhamma, even paramattha-sacca is explained through concepts, though the ultimate itself is not a product of the mind's conceptual function (paññatti), it cannot be explained without the medium of paññatti. Furthermore, according to Tse Fu Kuan, the Dhammasaṅgaṇi, "does not appear to uphold that dhammas are ultimate realities as against conventional constructs like persons." This text also states that “all dhammas are ways of designation (paññatti)”, that “all dhammas are ways of interpretation (nirutti)” and that “all dhammas are ways of expression (adhivacana)”. Therefore, the canonical Abhidhamma Pitaka does not uphold the interpretation of the two truths as referring to primary ontological realities (as seen in the later commentarial Theravada and also in Sarvastivada). The doctrinal stances of the Theravāda school vis-a-vis other early Buddhist schools is presented in the Pali text known as the Kathāvatthu, "Points of Controversy", which said to have been compiled by the scholar Moggaliputta-Tissa (c. 327–247 BCE). It includes several philosophical and soteriological matters, including the following. Theravadins believe that an awakened arahant (lit. worthy one) has an "incorruptible nature", unlike other early Buddhist schools like the Mahāsāṃghika who believed arahants could regress. Theravadins also dispute the idea that an arahant may be lacking in knowledge, or have doubts, or that they could have nocturnal emissions and thus still have some residual fetter of sensuality. They also argued against the Uttarapathaka school's view that a layperson could become an arahant and continue to live the household life. The Theravāda school rejected the view of the Lokottaravada schools which held that even the Buddha's conventional speech was supramundane or transcendental. 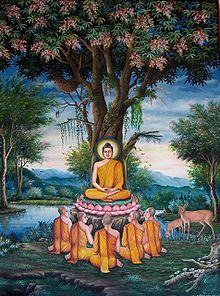 They also rejected the proto-Mahayana docetic view of the Vetulyaka school that the Buddha himself did not teach the Dharma, but that it was taught by his magical creation or "phantom" while he himself remained in Tavatimsa Heaven. According to the Theravāda, "progress in understanding comes all at once, 'insight' (abhisamaya) does not come 'gradually' (successively – anapurva)", a belief known as subitism. This is reflected in the Theravāda account on the four stages of enlightenment, in which the attainment of the four paths appears suddenly and the defilements are rooted out at once. The same stance is taken in the contemporary vipassana movement, especially the "New Burmese Method". On the Philosophy of time, the Theravāda tradition holds to philosophical presentism, the view that only present moment dhammas exist, against the eternalist view of the Sarvāstivādin tradition which held that dhammas exist in all three times – past, present, future. The early Theravadins who compiled the Kathāvatthu also rejected the doctrine of momentariness (Skt., kṣāṇavāda, Pali, khāṇavāda) upheld by other Buddhist Abhidharma schools like the Sarvastivada, which held that all dhammas lasted for a "moment" which for them meant an atomistic unit of time, that is the shortest possible slice of time. According to Noa Ronkin, the Theravadins meanwhile, used the term "moment" (khāṇa) as a simple expression for a "short while", "the dimension of which is not fixed but may be determined by the context". In the Khanikakatha of the Kathavatthu, the Theravadins also argue that "only mental phenomena are momentary, whereas material phenomena endure for a stretch of time". Regarding the mechanisms of rebirth, orthodox Theravadins following the Kathavatthu, rejected the doctrine of the intermediate state (antarabhāva) between death and rebirth, holding instead that rebirth is immediate. However, recently some Theravada monks have written in favor of the idea, such as Ven. Balangoda Ananda Maitreya. The doctrine of the Bhavanga ("ground of becoming", "condition for existence") is an innovation of the Theravāda Abhidhamma, where it is a passive mode of consciousness (citta). According to Rupert Gethin, it is "the state in which the mind is said to rest when no active consciousness process is occurring", such as in deep dreamless sleep. It is also said to be a process which conditions the future rebirth consciousness. Orthodox Theravada's position on the nature of the physical (rupa) is that it is one of the two main dependently originated processes of a person (as part of the mind-body complex called nama-rupa). However, there is no dualism between these two, they are merely clusters of interacting processes, each depending on the other. As noted by Buddhaghosa (Vism. 596), each can only occur "supported by" (nissaya) the other, they are like a blind man that carries a crippled man, or two sheaves of reeds which lean on each other and support each other. did not incorporate the Northern Buddhist atomistic theory as such into their system. As Karunadasa indicates, the Theravadin canonical texts do not mention the idea of a unitary atom or the term paramanu. Rather, the post-canonical texts employ the term kalapa (literally ‘package’), which corresponds to the collective atom of the Sarvastivada-Vaibhasika, that is, the smallest material unit that contains the eight elements. Furthermore, the term kalapa for the collective atom only became standard in the sub-commentarial literature and it is not a singular particle, but a collection of rupa-dhammas, which are inseparable from each other and always occur simultaneously (sahajata). Although monastic education is still grounded in the study of Buddhist texts, doctrine, and the Pali language, the curricula of monastic colleges and universities also reflect subject matter and disciplines associated with Western education. Buddhist modernist trends can be traced to figures like Anagarika Dhammapala and King Mongkut. They promoted a form of Buddhism that was compatible with rationalism and science, and opposed to superstition. Walpola Rahula’s, What the Buddha Taught is seen by scholars as an introduction to modernist Buddhist thought and this book continues to be widely used in universities. Another phenomenon is Buddhist philosophers educated in the West, such as K. N. Jayatilleke (a student of Wittgenstein) and Hammalawa Saddhatissa, going on to write modern works on Buddhist philosophy (Early Buddhist Theory of Knowledge, 1963 and Buddhist Ethics, 1987 respectively). The colonial clash with Christianity also led to debates (such as the Panadura debate) and doctrinal works written in defense of Buddhism or attacking Christian ideas, such as Gunapala Dharmasiri's A Buddhist critique of the Christian concept of God (1988). Another development has been modern literature promoting socially Engaged Buddhism and Buddhist economics from thinkers such as Buddhadasa, Sulak Sivaraksa, Prayudh Payutto, Neville Karunatilake and Padmasiri de Silva. Modern scholarship by Western Buddhist monks such as Nyanaponika Thera was also a new development in the modern era. The Dharma wheel with eight spokes usually symbolizes the eightfold path. The first section (part 1) explains the rules of discipline, and the method for finding a correct temple to practice, or how to meet a good teacher. The second section (part 2) describes samatha (calming) practice, object by object (see kammaṭṭhāna for the list of the forty traditional objects). It mentions different stages of samādhi. The third section (parts 3–7) is a description of the five khandhas, ayatanas, the Four Noble Truths, dependent origination, and the practise of vipassanā (insight) through the development of wisdom. It emphasizes different forms of knowledge emerging because of the practice. This part shows a great analytical effort specific to Buddhist philosophy. This basic outline is based on the threefold discipline. The emphasis is on understanding the three marks of existence, which removes ignorance. Understanding destroys the ten fetters and leads to nibbana. Theravadins believe that every individual is personally responsible for their own self-awakening and liberation, as they are the ones that were responsible for their own kamma (actions and consequences). Great emphasis is placed upon applying the knowledge through direct experience and personal realization, than believing about the known information about the nature of reality as said by the Buddha. Giving (Dana) is an important Buddhist virtue. The community of monastics is seen as the most meritorious field of karmic fruitfulness. Sīla, moral conduct, mainly defined as right speech, right action, and right livelihood is primarily understood through the doctrine of kamma. In Theravāda, one's present experience is strongly influenced by one's previous intentional actions and whatever actions one intends and then does will have consequences in the future, whether in this life or the next. Intention is central to the idea of kamma, actions which are done with good intentions, even if they have bad results, will not result in negative kammic consequences. To guide right action, there are several sets of precepts or moral trainings (sikkhāpada). Traditionally, Theravāda laypersons take the five precepts (whether for life or for a limited time) in front of a monastic after taking refuge in the three jewels. Laypeople also sometimes take an extended set of eight precepts which includes chastity during special occasions such as religious holidays. Generosity (dana); This is widely done by giving “the four requisites” to monks; food, clothing, shelter, and medicine. However giving to the needy is also a part of this. Moral conduct (sila); Keeping the five precepts, generally non-harming. Transferring merit; doing good deeds in the name of someone who has died or in the name of all beings. Rejoicing in merit of good deeds done by others, this is common in communal activities. Rendering service to others; looking after others. Honoring others; showing appropriate deference, particularly to the Buddha, Dhamma and Sangha, and to seniors and parents. Usually done by placing the hands together in Añjali Mudrā, and sometimes bowing. Preaching Dhamma; the gift of Dhamma is seen as the highest gift. Having correct views; mainly the four noble truths and the three marks of existence. Meditation (Pali: Bhavana, literally "causing to become" or cultivation) means the positive cultivation of one's mind. While often presented as going back to the time of the Buddha, vipassana-meditation as popularized by the vipassana movement dates back to the 19th and 20th century. According to Buswell, by the 10th century vipassana was no longer practiced in the Theravada tradition, due to the believe that Buddhism had degenerated, and that liberation was no longer attainable until the coming of Maitreya. It was re-introduced in Myanmar (Burma) in the 18th century by Medawi (1728–1816). A revival of Theravāda meditation practice occurred primarily in Myanmar during the 19th and 20th centuries, re-inventing vipassana-meditation and developing simplified meditation techniques, based on the Satipatthana sutta, the Visuddhimagga, and other texts, emphasizing satipatthana and bare insight. These techniques were globally popularized by the Vipassana movement in the second half of the 20th century. Though the Vipassana movement has popularised meditation both in traditional Theravada countries among the laity, and in western countries, "meditation plays a minor if not negligible role in the lives of the majority of Theravada monks. "[web 1] Meditation is especially popular laypersons, especially during special religious holidays or in their old age, when they have more free time to spend at the temple. Buddhist modernists tend to present Buddhism as rational and scientific, and this has also affected how Vipassana meditation has been taught and presented. This has led in some quarters to a playing down of older non-empirical elements of Theravada, associated with 'superstition'. Strains of older, traditional Theravāda meditation known as "borān kammaṭṭhāna" still exist, but this tradition has mostly been eclipsed by the Buddhist modernist meditation movements. 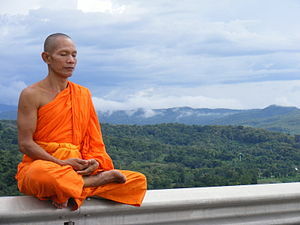 Samatha ("calm") consists of meditation techniques in which the mind is focused on a single object, thought, or mantra, leading to samadhi'. In traditional Theravada, it is onsidered to be the base for vipassanā ("insght"). In the Theravada-tradition, as early as the Pali Nikayas, the four jhānas are regarded as a samatha-practice. The eight and final step of the Eightfold Path, Right Samadhi, is often defined as the four jhanas. In the Pali Nikayas, Jhānas are described as preceding the awakening insight of the Buddha, which turned him into an awakened being. [web 9] Yet, the interpretation of jhana as single-pointed concentration and calm, may be a later re-interpretation, in which the original aim of jhana was lost. Vipassana-meditation was invented in the 19th and 20th century, when monks in Thailand and Burma rejected the sole textual study of Buddhism, and tried to put the texts on meditation into practice. Vipassana applies mindfulness of breathing to calm the mind, focus it on the awareness of chnaging phenomena, and uses this to gain insight into dukkha, anatta] and anicca. Vipassana is also described as insight into dependent origination, the five aggregates, the sense spheres and the four noble truths. In western countries, it is complemented with the four divine abidings, the development of loving-kindness and compassion. Vipassana-practice begins with the preparatory stage, the practice of sila, morality, giving up worldly thoughts and desires. The practitioner then engages in anapanasati, mindfulness of breathing, which is described in the Satipatthana Sutta as going into the forest and sitting beneath a tree and then to simply watch the breath. If the breath is long, to notice that the breath is long, if the breath is short, to notice that the breath is short. In the "New Burmese Method," the practitioner pays attention to any arising mental or physical phenomenon, engaging in vitaka, noting or naming physical and mental phenomena ("breathing, breathing"), without engaging the phenomenon with further conceptual thinking. By noticing the arising of physical and mental pohenomena, the meditator becomes aware how sense impressions arise from the contact between the senses and physical and mental phenomena, as described in the five skandhas and paṭiccasamuppāda. The practitioner also becomes aware of the perpetual changes involved in breathing, and the arising and passing away of mindfulness. This noticing is accompanied by reflections on causation and other Buddhist teachings, leading to insight into dukkha, anatta, and anicca. When the three characteristics have been comprehended, reflection subdues, and the process of noticing accelerates, noting phenomena in general, without necessarily naming them. According to Vajiranāṇa Mahathera, writing from a traditional and text-based point of view, in the Pali canon whether one begins the practice by way of samatha or by way of vipassanā is generally seen as depending on one's temperament. According to Vajiranāṇa Mahathera, it is generally held that there are two kinds of individuals. Those of a passionate disposition (or those who enter the path by faith), attain Arahatship through vipassanā preceded by samatha. Those of a skeptical disposition (or those who enter by way of wisdom or the intellect), achieve it through samatha preceded by vipassanā. Ajahn Mun, a key figure in the founding of the Thai Forest Tradition, is widely considered to have been an Arahant in Thailand. Apart from nibbana, there are various reasons why traditional Theravāda Buddhism advocates meditation, including a good rebirth, supranormal powers, combating fear and preventing danger. Recent modernist Theravādins have tended to focus on the psychological benefits and psychological well being. Arahants: Those who have reached Enlightenment – realized Nibbana, and have reached the quality of deathlessness –are free from all defilements. Their ignorance, craving and attachments have ended. In the Arahant. In this person, monks, all of the fetters ['saṃyojanāni'] are gotten rid of that pertain to this world, give rise to rebirth, and give rise to becoming. According to the early scriptures, the Nirvana attained by Arahants is identical to that attained by the Buddha himself, as there is only one type of Nirvana. [web 14] Theravadins believe the Buddha was superior to Arahants because the Buddha discovered the path all by himself and taught it to others (i.e., metaphorically turning the wheel of Dhamma). Arahants, on the other hand, attained Nirvana partly because of the Buddha's teachings. Theravadins revere the Buddha as a supremely gifted person but also recognize the existence of other such Buddhas in the distant past and future. Maitreya (Pali: Metteyya), for example, is mentioned very briefly in the Pali Canon as a Buddha who will come in the distant future. Circumambulation around a temple or a stupa is also a common devotional practice. Laypersons and monks also perform various types of religious practices daily or during Buddhist holidays. One of these is keeping a Buddhist shrine with a picture or statue of the Buddha for devotional practice in one's home, mirroring the larger shrines at temples. It is common to offer candles, incense, flowers and other objects to these shrine. Gestures of respect are also done in front of Buddha images and shrines, mainly the respectful salutation with the hands (añjalikamma), and the five-limb prostration (pañc'anga-vandana). Buddhist forms of chanting is also widely practiced by both monks and laypersons, who may recite famous phrases such as the taking of refuge, the metta sutta and the mangala sutta in front of their shrine. Chanting may also be part of the practice of recollection (anussati), which refers to contemplating various topics such as the sublime qualities of the Buddha, Dhamma and Sangha or the five subjects for daily recollection. This may be done as part of a daily puja ritual. Another important religious practice for the devout is the keeping of special religious holidays known as Uposatha which are based on a lunar calendar. Laypersons commonly take the eight precepts while visiting a temple or monastery and commit to focusing on Buddhist practice for the day. Study (ganthadhura) of the Buddhist texts and listening to Dhamma talks by monks or teachers are also important practices. Traditionally, Theravāda Buddhism has observed a distinction between the practices suitable for a lay person and the practices undertaken by ordained monks (in ancient times, there was a separate body of practices for nuns). While the possibility of significant attainment by laymen is not entirely disregarded by the Theravāda, it generally occupies a position of less prominence than in the Mahāyāna and Vajrayāna traditions, with monastic life being hailed as a superior method of achieving Nirvana. The view that Theravāda, unlike other Buddhist schools, is primarily a monastic tradition has, however, been disputed. Some Western scholars have erroneously tried to claim that Mahāyāna is primarily a religion for laymen and Theravāda is a primarily monastic religion. Both Mahāyāna and Theravāda have as their foundation strong monastic communities, which are almost identical in their regulations. Schools of Mahāyāna Buddhism without monastic communities of fully ordained monks and nuns are relatively recent and atypical developments, usually based on cultural and historical considerations rather than differences in fundamental doctrine. Both Mahāyāna and Theravāda also provided a clear and important place for lay followers. —  Ron Epstein, "Clearing Up Some Misconceptions about Buddhism"
This distinction between ordained monks and laypeople – as well as the distinction between those practices advocated by the Pali Canon, and the folk religious elements embraced by many monks – have motivated some scholars to consider Theravāda Buddhism to be composed of multiple separate traditions, overlapping though still distinct. Most prominently, the anthropologist Melford Spiro in his work Buddhism and Society separated Burmese Theravāda into three groups: Apotropaic Buddhism (concerned with providing protection from evil spirits), Kammatic Buddhism (concerned with making merit for a future birth), and Nibbanic Buddhism (concerned with attaining the liberation of Nirvana, as described in the Tipitaka). He stresses that all three are firmly rooted in the Pali Canon. These categories are not accepted by all scholars, and are usually considered non-exclusive by those who employ them. The role of lay people has traditionally been primarily occupied with activities that are commonly termed merit-making (falling under Spiro's category of kammatic Buddhism). Merit-making activities include offering food and other basic necessities to monks, making donations to temples and monasteries, burning incense or lighting candles before images of the Buddha, and chanting protective or merit-making verses from the Pali Canon. Some lay practitioners have always chosen to take a more active role in religious affairs, while still maintaining their lay status. Dedicated lay men and women sometimes act as trustees or custodians for their temples, taking part in the financial planning and management of the temple. Others may volunteer significant time in tending to the mundane needs of local monks (by cooking, cleaning, maintaining temple facilities, etc.). Lay activities have traditionally not extended to study of the Pali scriptures, nor the practice of meditation, though in the 20th century these areas have become more accessible to the lay community, especially in Thailand. Thai monks on pilgrimage in their orange robes. A number of senior monastics in the Thai Forest Tradition, including Buddhadasa, Ajahn Maha Bua, Ajahn Plien Panyapatipo, Ajahn Pasanno, and Ajahn Jayasaro, have begun teaching meditation retreats outside of the monastery for lay disciples. Ajahn Sumedho, a disciple of Ajahn Chah, founded the Amaravati Buddhist Monastery in Hertfordshire, which has a retreat center specifically for lay retreats. Sumedho extended this to Harnham in Northumberland as Aruna Ratanagiri under the present guidance of Ajahn Munindo, another disciple of Ajahn Chah. The ceremony walks with lighted candles in hand around a temple on Vesakha Puja in Uttaradit, Thailand. In Pali the word for a male lay devotee is Upasaka and a female devotee is Upasika. One of the duties of the lay followers, as taught by the Buddha, is to look after the needs of the monk/nuns. They are to see that the monk/nuns do not suffer from lack of the four requisites: food, clothing, shelter and medicine. As neither monks nor nuns are allowed to have an occupation, they depend entirely on the laity for their sustenance. In return for this charity, they are expected to lead exemplary lives. In Myanmar and Thailand, the monastery was and is still regarded as a seat of learning. In fact today about half of the primary schools in Thailand are located in monasteries. Religious rituals and ceremonies held in a monastery are always accompanied by social activities. In times of crisis, it is to the monks that people bring their problems for counsel. Traditionally, a ranking monk will deliver a sermon four times a month: when the moon waxes and wanes and the day before the new and full moons. The laity also have a chance to learn meditation from the monks during these times. It is also possible for a lay disciple to become enlightened. As Bhikkhu Bodhi notes, "The Suttas and commentaries do record a few cases of lay disciples attaining the final goal of Nirvana. However, such disciples either attain Arahantship on the brink of death or enter the monastic order soon after their attainment. They do not continue to dwell at home as Arahant householders, for dwelling at home is incompatible with the state of one who has severed all craving." In the modern era, it is now common for lay disciples to practice meditation, attend lay meditation centers and even aim for awakening. The impetus for this trend began in Myanmar and was supported by prime minister U Nu who himself established the International Meditation Center (IMC) in Yangon. 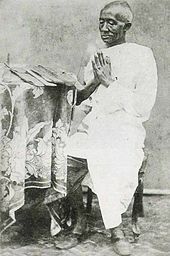 Modern lay teachers such as U Ba Khin (who was also the Accountant General of the Union of Burma) promoted meditation as part of a laypersons daily routine. According to Donald K Swearer, another development in modern Theravada is "the formation of lay Buddhist associations that have partially assumed the social service responsibilities formerly associated with the monastery". These include social service and activist organizations such as the Young Men's Buddhist Association of Colombo, the All Ceylon Buddhist Congress, the Sarvodaya Shramadana of A. T. Ariyaratne, the NGO's founded by Sulak Sivaraksa such as Santi Pracha. A cave kuti (hut) in the Sri Lankan forest monastery Na Uyana Aranya. Theravada sources dating back to medieval Sri Lanka (2nd century BCE to 10th century CE) such as the Mahavamsa show that monastic roles in the tradition were often seen as being in a polarity between urban monks (Sinhala: khaamawaasii, Pali: gamavasi) on one end and rural forest monks (Sinhala: aranyawaasii, Pali: araññavasi, nagaravasi, also known as Tapassin) on the other. The ascetic focused monks were known by the names Pamsukulikas (rag robe wearers) and Araññikas (forest dwellers). The Mahavamsa mentions forest monks associated with the Mahavihara. The Pali Dhammapada Commentary mentions another split based on the "duty of study" and the "duty of contemplation". This second division has traditionally been seen as corresponding with the city – forest split, with the city monks focusing on the vocation of books (ganthadhura) or learning (pariyatti) while the forest monks leaning more towards meditation (vipassanadhura) and practice (patipatti). 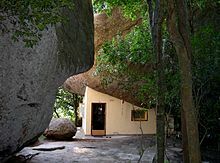 However this opposition is not consistent, and urban monasteries have often promoted meditation while forest communities have also produced excellent scholars, such as the Island Hermitage of Nyanatiloka. Scholar monks generally undertake the path of studying and preserving the Pali literature of the Theravāda. Forest monks tend to be the minority among Theravada sanghas and also tend to focus on asceticism (dhutanga) and meditative praxis. They view themselves as living closer to the ideal set forth by the Buddha, and are often perceived as such by lay folk, while at the same time often being on the margins of the Buddhist establishment and on the periphery of the social order. While this divide seems to have been in existence for some time in the Theravada school, only in the 10th century is a specifically forest monk monastery, mentioned as existing near Anuradhapura, called "Tapavana". This division was then carried over into the rest of Southeast Asia as Theravada spread. Today there are forest based traditions in most Theravada countries, including the Sri Lankan Forest Tradition, the Thai Forest Tradition as well as lesser known forest based traditions in Burma and Laos, such as the Burmese forest based monasteries (taw"yar) of Pa Auk Sayadaw. In Thailand, forest monks are known as phra thudong (ascetic wandering monks) or phra thudong kammathan (wandering ascetic meditator). The minimum age for ordaining as a Buddhist monk is 20 years, reckoned from conception. However, boys under that age are allowed to ordain as novices (sāmaṇera), performing a ceremony such as shinbyu in Myanmar. Novices shave their heads, wear the yellow robes, and observe the Ten Precepts. Although no specific minimum age for novices is mentioned in the scriptures, traditionally boys as young as seven are accepted. This tradition follows the story of the Buddha's son, Rahula, who was allowed to become a novice at the age of seven. Monks follow 227 rules of discipline, while nuns follow 311 rules. In most Theravāda countries, it is a common practice for young men to ordain as monks for a fixed period of time. In Thailand and Myanmar, young men typically ordain for the retreat during Vassa, the three-month monsoon season, though shorter or longer periods of ordination are not rare. Traditionally, temporary ordination was even more flexible among Laotians. Once they had undergone their initial ordination as young men, Laotian men were permitted to temporarily ordain again at any time, though married men were expected to seek their wife's permission. Throughout Southeast Asia, there is little stigma attached to leaving the monastic life. Monks regularly leave the robes after acquiring an education, or when compelled by family obligations or ill health. Ordaining as a monk, even for a short period, is seen as having many virtues. In many Southeast Asian cultures, it is seen as a means for a young man to "repay" his parents for their work and effort in raising him, because the merit from his ordination accrues to them as well. Thai men who have ordained as a monk may be seen as more fit husbands by Thai women, who refer to men who have served as monks with a colloquial term meaning "ripe" to indicate that they are more mature and ready for marriage. Particularly in rural areas, temporary ordination of boys and young men traditionally gave peasant boys an opportunity to gain an education in temple schools without committing to a permanent monastic life. In Sri Lanka, temporary ordination is not practised, and a monk leaving the order is frowned upon. The continuing influence of the caste system in Sri Lanka plays a role in the taboo against temporary or permanent ordination as a bhikkhu in some orders. Though Sri Lankan orders are often organized along caste lines, men who ordain as monks temporarily pass outside of the conventional caste system, and as such during their time as monks may act (or be treated) in a way that would not be in line with the expected duties and privileges of their caste. Men and women born in Western countries, who become Buddhists as adults, wish to become monks or nuns. It is possible, and one can live as a monk or nun in the country they were born in, seek monks or nuns which has gathered in a different Western country or move to a monastery in countries like Sri Lanka or Thailand. It is seen as being easier to live a life as a monk or nun in countries where people generally live by the culture of Buddhism, since it is difficult to live by the rules of a monk or a nun in a Western country. For instance, a Theravāda monk or nun is not allowed to work, handle money, listen to music, cook and so on, which are extremely difficult rules to live by in cultures which do not embrace Buddhism. Some of the more well-known Theravādan monks are Mun Bhuridatta, Ajahn Chah, Ledi Sayadaw, Webu Sayadaw, Ajahn Plien Panyapatipo, Ajahn Sumedho, Ajahn Khemadhammo, Ajahn Brahm, Bhikkhu Bodhi, Buddhadasa, Mahasi Sayadaw, Nyanaponika Thera, Preah Maha Ghosananda, U Pandita, Ajahn Amaro, Ajahn Sucitto, Thanissaro Bhikkhu, Walpola Rahula, Henepola Gunaratana, Bhante Yogavacara Rahula and Luang Pu Sodh Candasaro. A Buddhist Monk chants evening prayers inside a monastery located near the town of Kantharalak, Thailand. The practices usually vary in different sub-schools and monasteries within Theravāda. But in the most orthodox forest monastery, the monk usually models his practice and lifestyle on that of the Buddha and his first generation of disciples by living close to nature in forest, mountains and caves. Forest monasteries still keep alive the ancient traditions through following the Buddhist monastic code of discipline in all its detail and developing meditation in secluded forests. In a typical daily routine at the monastery during the 3 month vassa period, the monk will wake up before dawn and will begin the day with group chanting and meditation. At dawn the monks will go out to surrounding villages bare-footed on alms-round and will have the only meal of the day before noon by eating from the bowl by hand. Most of the time is spent on Dhamma study and meditation. Sometimes the abbot or a senior monk will give a Dhamma talk to the visitors. Laity who stay at the monastery will have to abide by the traditional eight Buddhist precepts. The life of the monk or nun in a community is much more complex than the life of the forest monk. In the Buddhist society of Sri Lanka, most monks spend hours every day in taking care of the needs of lay people such as preaching bana, accepting alms, officiating funerals, teaching dhamma to adults and children in addition to providing social services to the community. After the end of the Vassa period, many of the monks will go out far away from the monastery to find a remote place (usually in the forest) where they can hang their umbrella tents and where it is suitable for the work of self-development. When they go wandering, they walk barefoot, and go wherever they feel inclined. Only those requisites which are necessary will be carried along. These generally consist of the bowl, the three robes, a bathing cloth, an umbrella tent, a mosquito net, a kettle of water, a water filter, razor, sandals, some small candles, and a candle lantern. The monks do not fix their times for walking and sitting meditation, for as soon as they are free they just start doing it; nor do they determine for how long they will go on to meditate. Some of them sometimes walk from dusk to dawn whereas at other times they may walk from between two and seven hours. Some may decide to fast for days or stay at dangerous places where ferocious animals live in order to aid their meditation. Those monks who have been able to achieve a high level of attainment will be able to guide the junior monks and lay Buddhists toward the four degrees of spiritual attainment. A few years after the arrival of Mahinda, the bhikkhu Saṅghamittā, who is also believed to have been the daughter of Ashoka, came to Sri Lanka. She ordained the first nuns in Sri Lanka. In 429, by request of China's emperor, nuns from Anuradhapura were sent to China to establish the order there, which subsequently spread across East Asia. The prātimokṣa of the nun's order in East Asian Buddhism is the Dharmaguptaka, which is different than the prātimokṣa of the current Theravada school; the specific ordination of the early Sangha in Sri Lanka not known, although the Dharmaguptaka sect originated with the Sthāvirīya as well. The nun's order subsequently died out in Sri Lanka in the 11th century and in Burma in the 13th century. It had already died out around the 10th century in other Theravadin areas. Novice ordination has also disappeared in those countries. Therefore, women who wish to live as renunciates in those countries must do so by taking eight or ten precepts. Neither laywomen nor formally ordained, these women do not receive the recognition, education, financial support or status enjoyed by Buddhist men in their countries. These "precept-holders" live in Myanmar, Cambodia, Laos, Nepal, and Thailand. In particular, the governing council of Burmese Buddhism has ruled that there can be no valid ordination of women in modern times, though some Burmese monks disagree. Japan is a special case as, although it has neither the bhikkhuni nor novice ordinations, the precept-holding nuns who live there do enjoy a higher status and better education than their precept-holder sisters elsewhere, and can even become Zen priests. In Tibet there is currently no bhikkhuni ordination, but the Dalai Lama has authorized followers of the Tibetan tradition to be ordained as nuns in traditions that have such ordination. In 1996, 11 selected Sri Lankan women were ordained fully as Theravada bhikkhunis by a team of Theravāda monks in concert with a team of Korean nuns in India. There is disagreement among Theravāda vinaya authorities as to whether such ordinations are valid. The Dambulla chapter of the Siam Nikaya in Sri Lanka also carried out a nun's ordination at this time, specifically stating their ordination process was a valid Theravadin process where the other ordination session was not. This chapter has carried out ordination ceremonies for hundreds of nuns since then. This has been criticized by leading figures in the Siam Nikaya and Amarapura Nikaya, and the governing council of Buddhism in Myanmar has declared that there can be no valid ordination of nuns in modern times, though some Burmese monks disagree with this. In 1997 Dhamma Cetiya Vihara in Boston was founded by Ven. Gotami of Thailand, then a 10 precept nun; when she received full ordination in 2000, her dwelling became America's first Theravada Buddhist bhikkhuni vihara. A 55-year-old Thai Buddhist 8-precept white-robed maechee nun, Varanggana Vanavichayen, became the first woman to receive the going-forth ceremony of a Theravada novice (and the gold robe) in Thailand, in 2002. 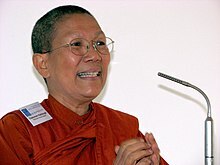 On February 28, 2003, Dhammananda Bhikkhuni, formerly known as Chatsumarn Kabilsingh, became the first Thai woman to receive bhikkhuni ordination as a Theravada nun. Dhammananda Bhikkhuni was ordained in Sri Lanka. The Thai Senate has reviewed and revoked the secular law passed in 1928 banning women's full ordination in Buddhism as unconstitutional for being counter to laws protecting freedom of religion. However Thailand's two main Theravada Buddhist orders, the Mahanikaya and Dhammayutika Nikaya, have yet to officially accept fully ordained women into their ranks. In 2010, in the US, four novice nuns were given the full bhikkhuni ordination in the Thai Theravada tradition, which included the double ordination ceremony. Henepola Gunaratana and other monks and nuns were in attendance. It was the first such ordination ever in the Western hemisphere. The first bhikkhuni ordination in Germany, the ordination of German woman Samaneri Dhira, occurred on June 21, 2015 at Anenja Vihara. In Indonesia, the first Theravada ordination of bhikkhunis in Indonesia after more than a thousand years occurred in 2015 at Wisma Kusalayani in Lembang, Bandung in West Java. Those ordained included Vajiradevi Sadhika Bhikkhuni from Indonesia, Medha Bhikkhuni from Sri Lanka, Anula Bhikkhuni from Japan, Santasukha Santamana Bhikkhuni from Vietnam, Sukhi Bhikkhuni and Sumangala Bhikkhuni from Malaysia, and Jenti Bhikkhuni from Australia. Thai monks blessing the King of Thailand in Wat Nong Wong, Amphoe Sawankhalok, Sukhothai, Thailand. Theravāda monks typically belong to a particular nikaya, variously referred to as monastic orders or fraternities. These different orders do not typically develop separate doctrines, but may differ in the manner in which they observe monastic rules. These monastic orders represent lineages of ordination, typically tracing their origin to a particular group of monks that established a new ordination tradition within a particular country or geographic area. In Sri Lanka caste plays a major role in the division into nikayas. Some Theravāda Buddhist countries appoint or elect a sangharaja, or Supreme Patriarch of the Sangha, as the highest ranking or seniormost monk in a particular area, or from a particular nikaya. The demise of monarchies has resulted in the suspension of these posts in some countries, but patriarchs have continued to be appointed in Thailand. Myanmar and Cambodia ended the practice of appointing a sangharaja for some time, but the position was later restored, though in Cambodia it lapsed again. Theravāda has also recently gained popularity in the Western world. ^ Source says,"Technical terms from Sanskrit were converted into Pali by a set of conventional phonological transformations". Vowels and diphthongs from Sanskrit to Pali follow this pattern. Thus 'Sthavira' in Sanskrit becomes 'Thera' in Pali. Sanskrit 'avi' becomes Pali 'e' (i.e. Sthavira → ai → Thera). ^ a b c Gyatso, Tenzin (2005). Bodhi, Bhikkhu (ed.). In the Buddha's Words: An Anthology of Discourses from the Pali Canon. Somerville, Massachusetts: Wisdom Publications. p. ix. ISBN 978-0-86171-491-9. ^ a b c d Reynolds, Frank E.; Kitagawa, Joseph M.; Nakamura, Hajime; Lopez, Donald S.; Tucci, Giuseppe (2018). "Theravada". britannica.com. Encyclopaedia Britannica. Theravada (Pali: “Way of the Elders”; Sanskrit, Sthaviravada) emerged as one of the Hinayana (Sanskrit: “Lesser Vehicle”) schools, traditionally numbered at 18, of early Buddhism. The Theravadins trace their lineage to the Sthaviravada school, one of the two major schools (the Mahasanghika was the other) that supposedly formed in the wake of the Council of Vaishali (now in Bihar state) held some 100 years after the Buddha’s death. Employing Pali as their sacred language, the Theravadins preserved their version of the Buddha’s teaching in the Tipitaka (“Three Baskets”). ^ a b Crosby, Kate (2013), Theravada Buddhism: Continuity, Diversity, and Identity, p. 2. ^ Gombrich, Richard (2006), Theravada Buddhism: A Social History from Ancient Benares to Modern Colombo, Routledge; 2nd edition, p. 37. ^ Hirakawa Akira (translated and edited by Paul Groner), A History Of India Buddhism, Motilal Banarsidass Publishers, Delhi, 1993, p. 109. ^ Cousins, LS. On the Vibhajjavadins. The Mahimsasaka, Dhammaguttaka, Kassapiya and Tambapanniya branches of the ancient Theriyas, Buddhist Studies Review 18, 2 (2001). ^ Warder 2000, p. 278. ^ Samuel Beal, "Si-Yu-Ki – Buddhist Records of the Western World – Translated from the Chinese of Hiuen Tsiang AD 629", published by Tuebner and Co, London (1884), reprint by the Oriental Book Reprint Corporation, New Delhi (1983), Digital version: Chung-hwa Institute of Buddhist Studies, Taipei. ^ Samuel Beal, "The Life of Hiuen-Tsiang: By the Shaman Hwui Li. With an introduction containing an account of the works of I-tsing", published by Tuebner and Co, London (1911), Digital version: University of Michigan. ^ It is used in the Dipavamsa (quoted in Debates Commentary, Pali Text society, p. 4), which is generally dated to the 4th century. ^ Law, A history of Pali literature, 349. ^ "Importance of Mahavihara as the centre of Theravada Buddhism.doc – Bhikkhu – Sri Lanka". Scribd. ^ Kalupahana 1994, pp. 206–208. ^ Hirakawa, Akira; Groner, Paul (1993). A History of Indian Buddhism: From Śākyamuni to Early Mahāyāna. Motilal Banarsidass. p. 126. ISBN 978-81-208-0955-0. ^ a b Queen, Christopher S.; Williams, Duncan Ryuken (18 October 2013). American Buddhism: Methods and Findings in Recent Scholarship. Routledge. p. 134. ISBN 978-1-136-83033-4. ^ Professor Janice Stargardt. "Historical Geography of Burma: Creation of enduring patterns in the Pyu period". IIAS Newsletter Online, No 25, Theme Burmese Heritage. ^ Skilling, Peter. The Advent of Theravada Buddhism to Mainland South-east Asia. ^ Lieberman, Victor B (2003). Strange Parallels: Southeast Asia in Global Context, c. 800–1830, Volume 1: Integration on the Mainland. Cambridge University Press. pp. 115–116. ISBN 978-0-521-80496-7. ^ Gyallay-Pap, Peter. "Notes of the Rebirth of Khmer Buddhism", Radical Conservativism. ^ Prapod Assavavirulhakarn. The Ascendancy of Theravada Buddhism in Southeast Asia. Chiang Mai: Silkworm Books, 2010. ^ Cousins, L.S. (1997), "Aspects of Southern Esoteric Buddhism"
^ a b McMahan 2008. ^ Edmund F. Perry's introduction to Walpola Rahula's The Heritage of the Bhikkhu: A Short History of the Bhikkhu in the Educational, Cultural, Social, and Political Life. Grove Press, New York, 1974, p. xii. ^ Stanley Jeyaraja Tambiah, Buddhism Betrayed? The University of Chicago Press, 1992, pp. 35–36. ^ a b Stanley Jeyaraja Tambiah, Buddhism Betrayed? The University of Chicago Press, 1992, p. 28. ^ Stanley Jeyaraja Tambiah, Buddhism Betrayed? The University of Chicago Press, 1992, p. 29. ^ Stanley Jeyaraja Tambiah, Buddhism Betrayed? The University of Chicago Press, 1992, pp. 63–64. ^ Gombrich 1996, pp. 177–181. ^ Gombrich 1996, pp. 172–197. ^ Swearer, Donald K. The Buddhist World of Southeast Asia: Second Edition, p. 161. ^ "Vipassana Meditation". www.dhamma.org. Retrieved 2017-05-31. ^ Swearer, Donald K. The Buddhist World of Southeast Asia: Second Edition, p. 162. ^ a b Swearer, Donald K. The Buddhist World of Southeast Asia: Second Edition, p. 163. ^ Swearer, Donald K. The Buddhist World of Southeast Asia: Second Edition, p. 155. ^ Swearer, Donald K. The Buddhist World of Southeast Asia: Second Edition, p. 134. ^ Crosby, 2013, p. 1. ^ Harvey, Introduction to Buddhism, Cambridge University Press, 1990, p. 3. ^ Peter Harvey, The Selfless Mind. Curzon Press, 1995, p. 9. ^ Crosby, 2013, p. 175. ^ Dutt 1998, pp. 211–217. ^ Warder 2000, p. 217. ^ a b Crosby, 2013, 86. ^ a b c Warder 2000, p. 288. ^ Ronkin, Noa, Early Buddhist Metaphysics: The Making of a Philosophical Tradition (Routledge curzon Critical Studies in Buddhism) 2011, p. 5. ^ James P. McDermott, Encyclopedia of Indian Philosophies, Volume VII: Abhidharma Buddhism to 150 A.D. p. 80. ^ Ronkin, Noa, Early Buddhist Metaphysics: The Making of a Philosophical Tradition (Routledge curzon Critical Studies in Buddhism) 2011, pp. 27–30. ^ Frauwallner, Erich. Kidd, Sophie Francis (translator). Steinkellner, Ernst (editor). Studies in Abhidharma Literature and the Origins of Buddhist Philosophical Systems. SUNY Press. pp. 18, 100. ^ a b Crosby, 2013, p. 86. ^ Crosby, 2013, p. 71. ^ Crosby, 2013, p. 91. ^ Crosby, 2013, p. 109. ^ Ronkin, Noa; Early Buddhist Metaphysics, p. 42. ^ Ronkin, Noa, Early Buddhist Metaphysics: The Making of a Philosophical Tradition (Routledge curzon Critical Studies in Buddhism) 2011, p. 2. ^ Potter, Buswell, Jaini; Encyclopedia of Indian Philosophies Volume VII Abhidharma Buddhism to 150 AD, p. 121. ^ a b Ronkin, Noa; Early Buddhist Metaphysics, p. 112. ^ a b Karunadasa, Y. Buddhist Analysis of Matter, p. 14. ^ Ronkin, Noa; Early Buddhist Metaphysics, p. 41. ^ Ronkin, Noa; Early Buddhist Metaphysics, pp. 70–75. ^ Ronkin, Noa; Early Buddhist Metaphysics, p. 111. ^ Ronkin, Noa; Early Buddhist Metaphysics, p. 114. ^ Ronkin, Noa; Early Buddhist Metaphysics, p. 92. ^ Ronkin, Noa; Early Buddhist Metaphysics, p. 77. ^ Ronkin, Noa; Early Buddhist Metaphysics, p. 118. ^ a b Ronkin, Noa; Early Buddhist Metaphysics, p. 47. ^ a b Crosby, 2013, 187. ^ K.N. Jayatilleke, Early Buddhist Theory of Knowledge, London, 1963, p. 52. ^ Warder 2000, p. 283. ^ James P. McDermott, Kathavatthu: Encyclopedia of Indian Philosophies, Volume VII: Abhidharma Buddhism to 150 A.D.
^ Warder 2000, p. 284. ^ a b c Ronkin, Noa, Early Buddhist Metaphysics: The Making of a Philosophical Tradition (Routledge curzon Critical Studies in Buddhism) 2011, p. 62. ^ Karunadasa, Y. Buddhist Analysis of Matter, p. 169. ^ Karunadasa, Y. Buddhist Analysis of Matter, pp. 14, 172; "If we base ourselves on the Pali Nikayas, then we should be compelled to conclude that Buddhism is realistic. There is no explicit denial anywhere of the external world. Nor is there any positive evidence to show that the world is mind-made or simply a projection of subjective thoughts. That Buddhism recognizes the extra-mental existence of matter and the external world is clearly suggested by the texts. Throughout the discourses it is the language of realism that one encounters. The whole Buddhist practical doctrine and discipline, which has the attainment of Nibbana as its final goal, is based on the recognition of the material world and the conscious living beings living therein." ^ Karunadasa, Y. Buddhist Analysis of Matter, p. 175. ^ a b Ronkin, Noa; Early Buddhist Metaphysics, p. 58. ^ a b Swearer, Donald K. The Buddhist World of Southeast Asia: Second Edition, p. 164. ^ McMahan, David L. 2008. The Making of Buddhist Modernism. Oxford: Oxford University Press. pp. 91–97. ^ "The Pali Text Society's Pali-English dictionary". Dsal.uchicago.edu. Archived from the original on 2012-07-08. Retrieved 2012-08-17. ^ Crosby, 2013, p. 113. ^ Crosby, 2013, p. 116. ^ a b Buswell 2004, p. 890. ^ a b McMahan 2008, p. 189. ^ Buswell 2004, p. 889. ^ Sharf 1995, p. 242. ^ a b Crosby 2013, p. 147. ^ Crosby, 2013, p. 157. ^ Crosby, 2013, pp 138. ^ a b c Vajiranāṇa Mahathera (author), Allan R. Bomhard (editor) (20100, Buddhist Meditation in Theory and Practice, p. 270. ^ Henepola Gunaratana, The Jhanas in Theravada Buddhist Meditation, 1995. ^ a b Polak 2011. ^ Nyanaponika, The Heart of Buddhist meditation, Buddhist publication Society, 2005, p. 40. ^ Crosby, 2013, p. 149. ^ Wilson 2014, pp. 54–55. ^ a b "The Art of Living: Vipassana Meditation". Dhamma.org. Retrieved 2013-05-30. ^ Gombrich 1997, p. 133. ^ Gethin, Rupert, The Foundations of Buddhism, Oxford University Press, p. 234. ^ Crosby, 2013, p. 156. ^ a b Shaw, Sarah. "Buddhist Meditation Practices in the West" (PDF). Department of Continuing Education, Oxford University. p. 8. Archived from the original (PDF) on 2011-07-04. Retrieved 2009-03-27. ^ Woodward, F.L. (2008). The Book of Gradual Sayings (Aṇguttara Nikāya). Oxford: Pali Text Society. p. 137. ISBN 978-0860130154. ^ "Glossary of Buddhism". Buddhist Art and the Trade Routes. Asia Society. 2003. Retrieved 2010-09-17. ^ Epstein, Ron (1999). "Clearing Up Some Misconceptions about Buddhism". Vajra Bodhi Sea: A Monthly Journal of Orthodox Buddhism: 41–43. ^ a b c Swearer, Donald K. The Buddhist World of Southeast Asia: Second Edition, p. 178. ^ Swearer, Donald K. The Buddhist World of Southeast Asia: Second Edition, p. 187. ^ Tambiah, Stanley Jeyaraja, The Buddhist Saints of the Forest and the Cult of Amulets (Cambridge Studies in Social and Cultural Anthropology), 1984, p. 55. ^ Prapod Assavavirulhakarn, The Ascendency of Theravada Buddhism in Southeast Asia 1990, p. 258. ^ Mahinda Deegalle, Popularizing Buddhism: Preaching as Performance in Sri Lanka, State University of New York Press, Albany, 2006. ^ "Resources on Women's Ordination". Lhamo.tripod.com. Retrieved 2010-11-19. ^ Salgado 2013, pp. 166–169. ^ Kawanami, Hiroko (2007). "The bhikkhunī ordination debate: global aspirations, local concerns, with special emphasis on the views of the monastic community in Myanmar. Kawanami, H. 11/2007 In". Buddhist Studies Review. 24 (2): 226–244. ^ Sommer, PhD, Jeanne Matthew. "Socially Engaged Buddhism in Thailand: Ordination of Thai Women Monks". Warren Wilson College. Archived from the original on 4 December 2008. Retrieved 6 December 2011. ^ "Ordained At Last". Thebuddhadharma.com. 2003-02-28. Archived from the original on 2004-02-06. Retrieved 2010-11-19. ^ Rita C. Larivee, SSA (2003-05-14). "Bhikkhunis: Ordaining Buddhist Women". Nationalcatholicreporter.org. Retrieved 2010-11-19. ^ "Thai monks oppose West Australian ordination of Buddhist nuns". Wa.buddhistcouncil.org.au. Retrieved 2010-11-19. ^ "Bhikkhuni Ordination". Dhammasara.org.au. 2009-10-22. Archived from the original on 2011-02-19. Retrieved 2010-11-19. ^ Boorstein, Sylvia (2011-05-25). "Ordination of Bhikkhunis in the Theravada Tradition". Huffington Post. ^ Bhikkhuni Happenings – Alliance for Bhikkhunis. Bhikkhuni.net. Retrieved on 2015-06-28. Gombrich, Richard F. (1997), How Buddhism Began. The Conditioned Genesis of the Early Teachings, New Delhi: Munshiram Manoharlal Publishers Pvt. Ltd.
Salgado, Nirmala S. (November 2013). Buddhist Nuns and Gendered Practice: In Search of the Female Renunciant. OUP. ISBN 978-0-19-976001-5. ^ "Plan your trip to Bagan (Pagan), Myanmar". AsiaExplorers. 2003-11-25. Retrieved 2012-08-17. ^ "Magga-vibhanga Sutta: An Analysis of the Path". ^ "The Pali Text Society's Pali-English dictionary". Dsal.uchicago.edu. Archived from the original on 2012-07-09. Retrieved 2012-08-17. ^ "The Pali Text Society's Pali-English dictionary". Dsal.uchicago.edu. Archived from the original on 2012-07-11. Retrieved 2012-08-17. ^ "A Sketch of the Buddha's Life". Access to Insight. Retrieved 2009-03-26. ^ a b Cite error: The named reference supramundane2 was invoked but never defined (see the help page). ^ "Lohicca Sutta". Access to Insight. Retrieved 2009-03-27. ^ Bodhi. "A Treatise on the Paramis: From the Commentary to the Cariyapitaka". Retrieved 2007-07-31. ^ "The World Factbook". Cia.gov. Retrieved 2012-08-17. ^ "Retrieved 8 July 2010" (PDF). Archived from the original (PDF) on 2007-10-24. ^ "The World Factbook". Cia.gov. Archived from the original on 2010-12-29. Retrieved 2012-08-17. ^ a b "CIA – The World Factbook". Cia.gov. Retrieved 2012-08-17. ^ Bullitt, John. "What is Theravāda Buddhism?". BuddhaNet. Retrieved 2010-08-15. 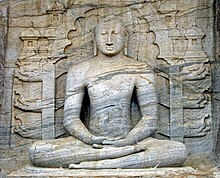 Wikimedia Commons has media related to Theravada. این صفحه آخرین‌بار در ‏۲۹ سپتامبر ۲۰۱۶ ساعت ‏۰۴:۳۱ ویرایش شده‌است.